Facial surgery has been extremely popular for men and women between the ages of 40 and 65 as a way to address the various signs of aging. A nonsurgical alternative, Botox procedure, has been popular with those who are not yet ready to pursue a surgical solution. 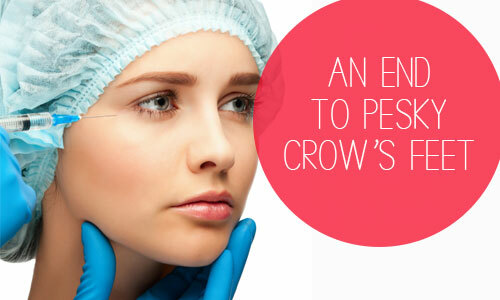 Botox can now address more of these signs of aging with its new FDA approved use: treating crow’s feet. On September 11, Botox Cosmetic officially received the FDA’s approval for the treatment of crow’s feet, a popular sign of aging in which fine lines begin to form at the corners of the eyes. As more people seek out cosmetic procedures, these nonsurgical alternatives to facial surgery are becoming more and more popular. Earlier this year, Botox was also approved for the adult treatment of Chronic Migraine and overactive bladder. With its new uses, many are expecting Botox to even improve upon its impressive number of over 6.1 million injections administered last year. Many patients use Botox as a way to temporarily slow signs of aging before moving forward with facial surgery. Procedures such as the face lift procedure or eyelid surgery are popular solutions to the more advanced signs of aging that begin to set in as we get older and are sometimes even used as a preventative procedure before sagging or drooping begins to set in around the face. If you would like to know more about Botox’s FDA approved uses or a specific facial procedure, click below to speak with a board-certified cosmetic surgeon.